Maybe you’ve got a veranda upon which to enjoy this peach- and strawberry-laced concoction. Maybe you don’t even know what a veranda is. No matter. 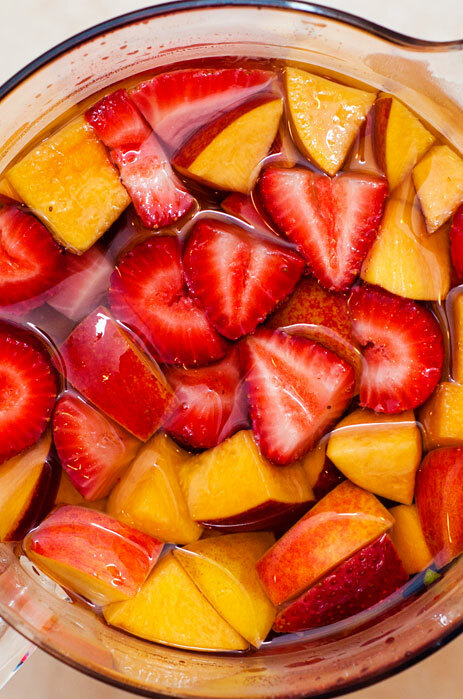 Just find some friends and a cool spot in the shade, and let this fruity sangria punch wash the heat away from even the longest of summer days. If you have some extra oranges, lemons or limes, add those to the pitcher. 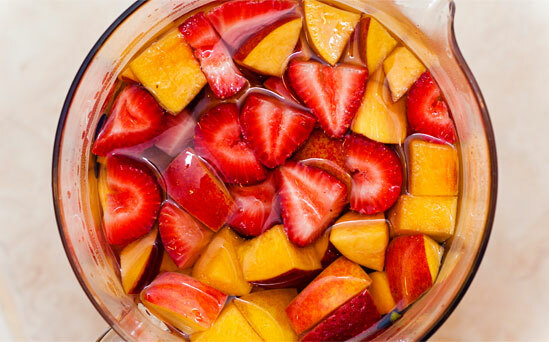 You can’t mess up this fun, fruity sangria recipe. A couple of glugs of triple sec will amp up the orangey-ness. A cup of peach liqueur will add some flavor. 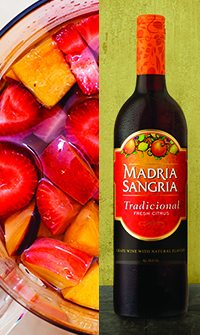 Grab a great big pitcher, dump in the Madria Sangria Tradicional and the fruit and give it all a stir. Throw it in the fridge for a few hours, then, once the flavors have had a chance to mingle, mix in the lemon-lime soda, serve it to friends over ice, and let the day slip into night.